This woolly sporting dog breed is fun-loving and smart. He was bred for retrieving waterfowl for hunters — and has the webbed feet to prove it — but he’s also a talented agility competitor in his native France. See below for full list of Barbet characteristics! 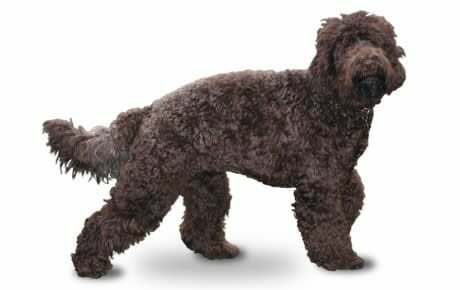 A relative of the Poodle and Briard, this French water dog with the webbed paws gets down and dirty in pursuit of waterfowl, earning him the nickname 'mud dog.' He real name comes from the French word barbe, meaning beard, due to his bearded face. The Barbet is no newcomer — the first written reference to the breed dates back to 1387, although the breed may have originated as early as the eighth century. For centuries the Barbet served as a water retriever for royalty and commoner alike, and his thick, waterproof coat helped earn him a reputation for braving the chilliest water. King Henry IV was one royal fan, and legend has it that the king's mistress was once reproached for bringing a Barbet to church. In addition to his retrieving skills, the Barbet is cherished for his versatility and his joyful, intelligent personality. 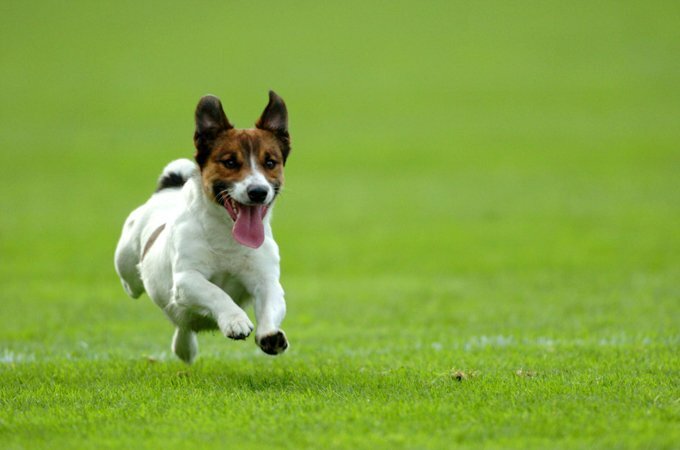 In his homeland, he ranks among the top agility breeds and also loves to chase balls and flying discs. The breed is rare, with approximately 30 to 40 making their home in the United States and about 600 worldwide, but admirers of the Barbet hope others will come to share their love for this interesting dog. Males stand 22.5 to 25 inches at the shoulder; females are 20.5 to 24 inches. They weigh from 37 to 62 pounds. The Barbet's long, woolly coat is waterproof. It ranges from wavy to curly, and colors include solid black, gray, brown, fawn, pale fawn, red fawn, and white. Daily brushing and combing is a must to prevent mats from forming. The coat readily picks up burrs, twigs, and leaves, so you may want to have those daily grooming sessions after walks. Some owners clip the coat short to make it easier to maintain. The good news: The breed sheds little, and may be a good choice for those with allergies.